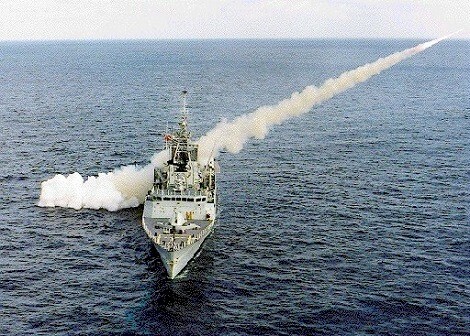 First of her class to enter service, and the first warship built in Canada since 1971, Halifax was floated up on 30 Apr 1988 and commissioned on 29 Jun 1992. 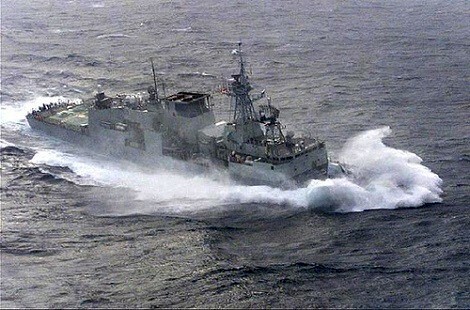 On 02 Apr 1994, she sailed to relieve Iroquois in the multinational arms embargo of the former Yugoslavia. 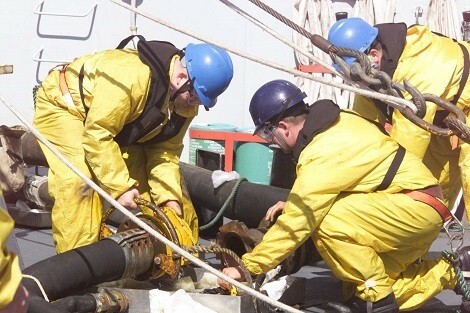 While en route, one of the diesel cruise engines blew and the ship had to proceed on its gas turbine engines. 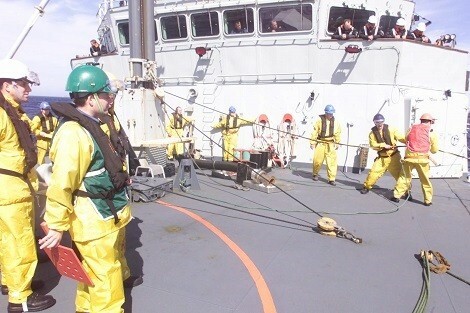 She returned home on 09 Sep 1994. In the spring of 1995 she made visits to several European ports, including Goteborg, Oslo and Gydnia, in connection with the 50th Anniversary of VE Day. 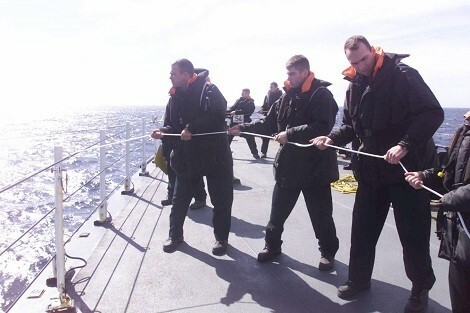 Afterward taking part in the NATO exercise Linked Seas 95 off Portugal, she returned to base at the end of June. 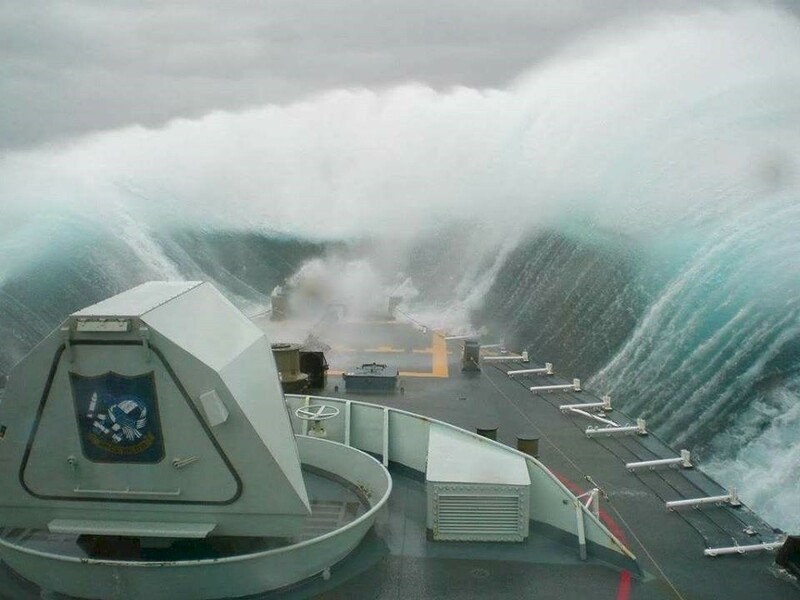 On 18 Mar 1996, she departed for another tour of duty in the Adriatic, part of the time as flagship. 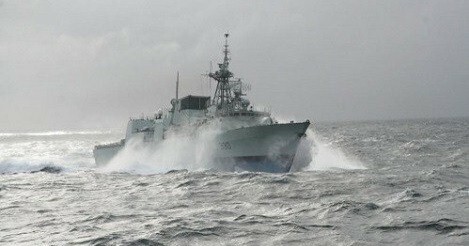 In Mar 1998 Halifax and Iroquois took part in Exercise Strong Resolve off Norway, returning to Halifax on 16 Apr 1998. That fall she had the melancholy duty of assisting at the scene of the crash of a Swissair jet in the sea near Peggy's Cove. 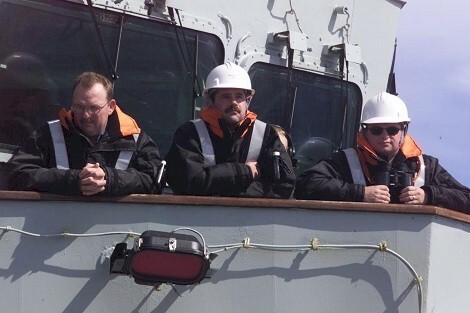 Another tour with NATO's SNFL occupied her time between 26 Jul and 15 Dec 2000. 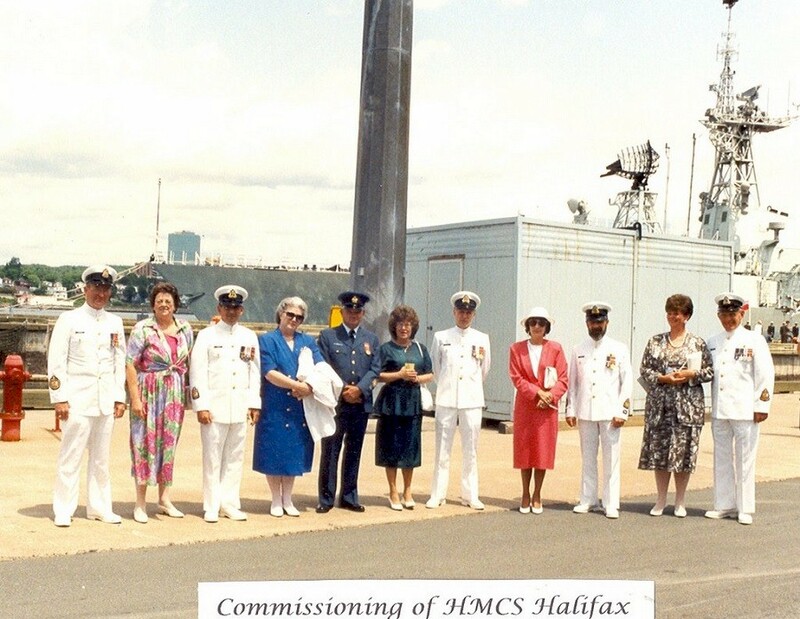 On 15 Aug 2001, she left Halifax to join SNFL, but was detached to join in Operation Enduring Freedom against international terrorism. 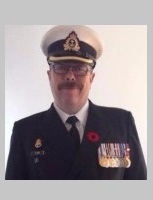 She joined Charlottetown, Iroquois, and Preserver in the Arabian Sea in Dec 2001. She returned home from this endeavour on 11 Feb 2002. 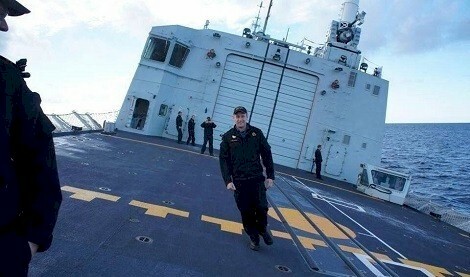 On 13 January 2010, Halifax and Athabaskan sailed for Haiti as part of the relief effort, Operation Hestia, after the deadly earthquake. 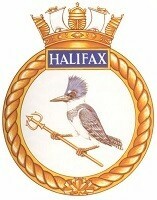 On 15 Apr 1994 HMCS Halifax 33 arrived in the Op Area for Operation Sharp Guard, Yugoslavia. 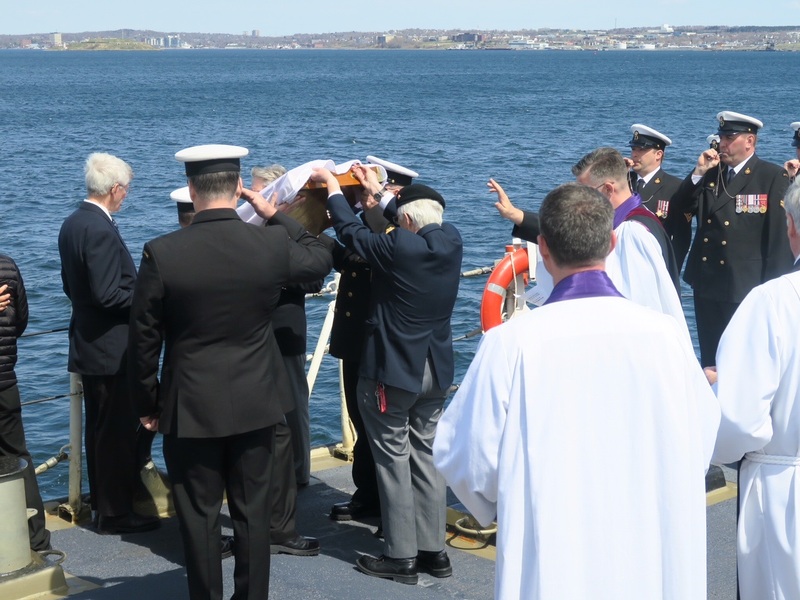 On Battle of the Atlantic Sunday, 06 May 2018, a committal of ashes to the sea was conducted on board HMCS Halifax 330 just off the approaches to Halifax Harbour. 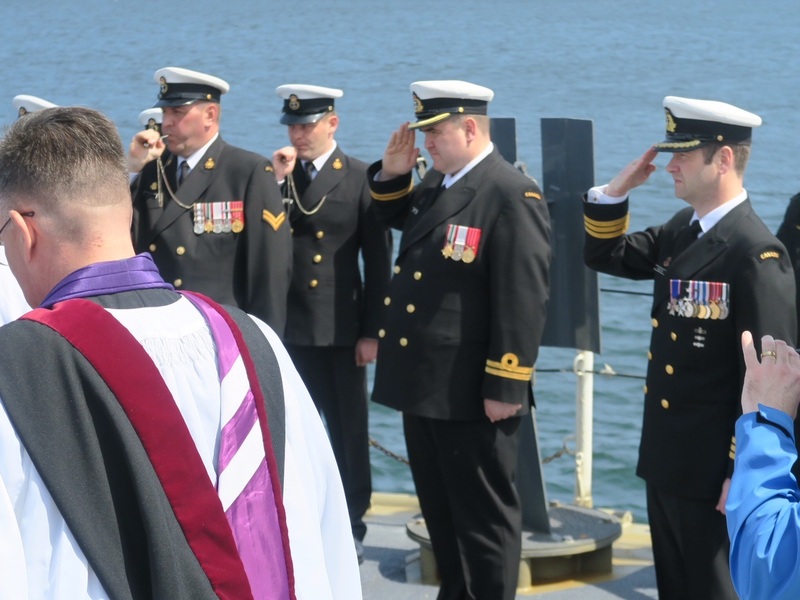 Chaplain Andrew Cooke (LCdr, ret'd) and Lt (N) Robert Parker, Interim Senior Fleet Chaplain officiating. 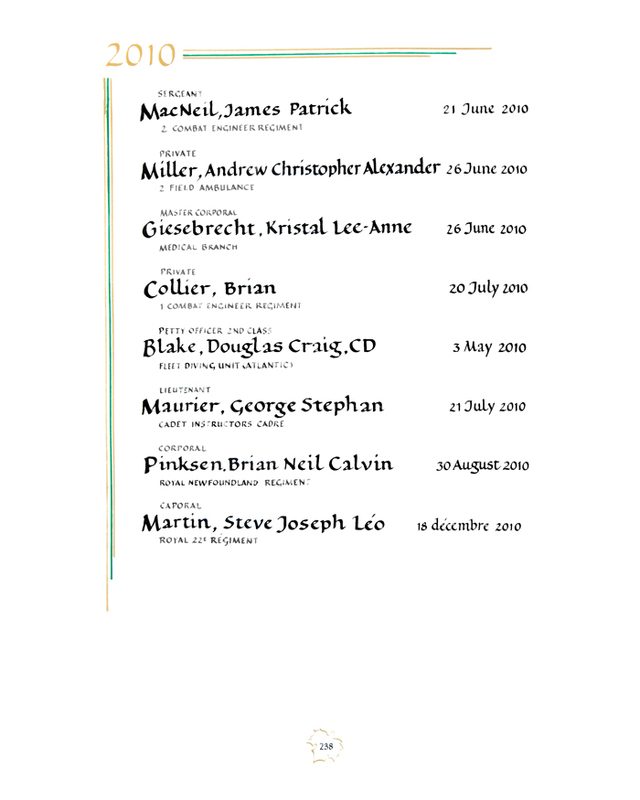 Below is a list of those who were committed to the sea.